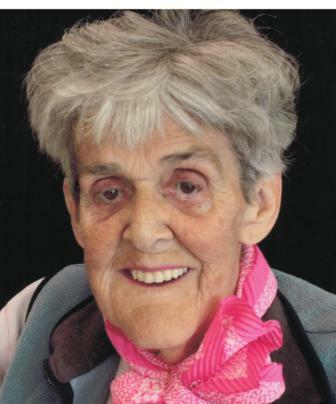 Marcella Connolly passed away at Overlander Extended Care Hospital in Kamloops BC on December 26, 2016, at 79 years of age. She is survived by three daughters, Tracy (Randy) Perry, Tammy (Bill) Chivers and Toni (Rod) Cromarty; six grandchildren; five great grandchildren; her brother Dale; six sisters Doreen, Viola, Marlene, Ruth, Pat and Sharon; and by numerous nieces and nephews. Marcella was predeceased by her mother Lilian, father Rowland, husband Allan, son Michael, three sisters and four brothers. Marcella was a bookkeeper for many years. She volunteered at the Red Cross, did tax returns for seniors, and volunteered with the Salvation Army and other organizations. She enjoyed all the visits from family and friends – and playing cards – during her stay at Overlander. There will be no formal service, but those who wish to may donate to the Canadian Cancer Society or to the Alzheimer’s Society in memory of Marcella Connolly. Toni~sending you my sincere condolences~no more Alzheimer’s!